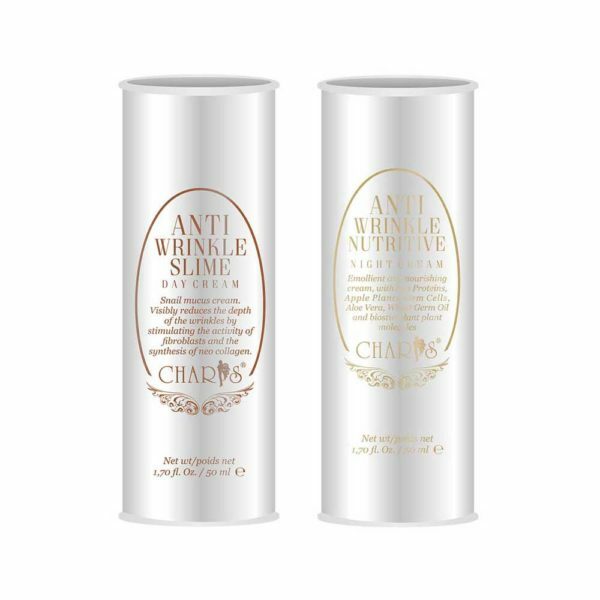 Expression wrinkles, premature wrinkles, slight or deep wrinkles can be fought and filled thanks to the innovative formula CHARIS Anti Wrinkle Day Cream to Snacks. It is a cream with snail drool, of Helix Aspersa added to vegetal biostimulating molecules, conveniently studied for a ‘’marked’’ visage that needs tone, softnesss and a pronounced smoothing and enriching action. The snail drool contained in the FARMALABO product has a high level of purity and a concentration that allows the active ingredients, as calendula mucilage, elastin, collagen, Aloe Vera, Ginseng, emulsifier deriving from the Olive oil, proteins, peptides and vitamins, to renovate the visage skin by stimulating the synthesis of the new cellular layers. 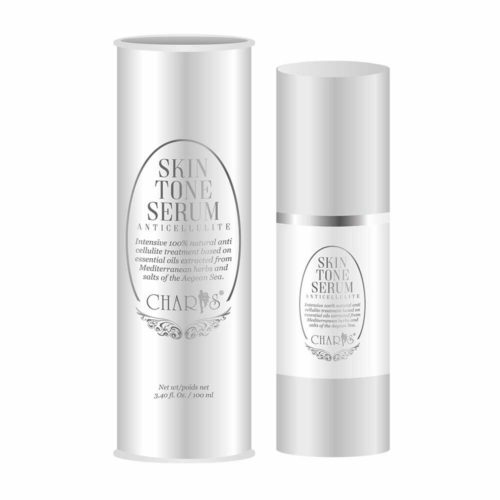 Expression wrinkles, premature wrinkles, slight or depp wrinkles can be fought and filled thanks to the innovative formula CHARIS Anti Wrinkle Night Cream Nutritive. It is an emollient and nourishing cream, with soy proteins, apple vegetal stem cells, aloe vera and wheat germ oil, with vegetal biostimulating molecules, conveniently studied for a ‘’marked’’ visage that needs tone, softness and a pronounced smoothing and enriching action. The nutrients contained in the FARMALABO product have an high level of purità and a concentration that allows the active ingredients to renovate the visage skin by stimulating the synthesis of the new cellular layers. Ideal for all kinds of skin, particularly for those who have a dry, delicate skin and/or with ageing signs. 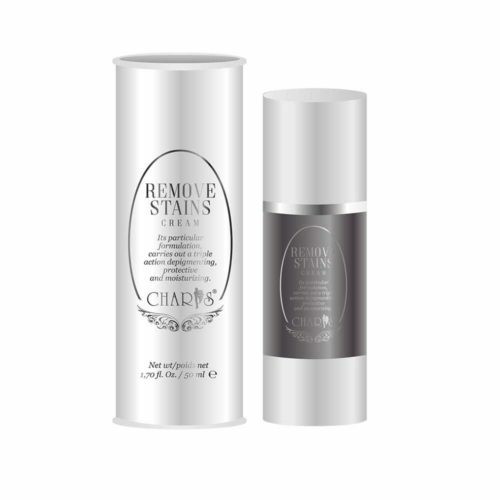 CHARIS Anti Wrinkle Day Cream to Snacks is proposed in an airless packaging that guarantees the hygene, avoids the product oxidation and preserve the active ingredients integrity. CHARIS Anti Wrinkle Night Cream Nutritive is proposed in an airless packaging that guarantees the hygene, avoids the product oxidation and preserve the active ingredients integrity. It is testated on women aged between 30 and 65. According to evaluations made in the best Italian laboratories, a constant use of the CHARIS Anti Wrinkle Day Cream to Snacks, is responsible for the improvement of the epidermal dimension ( less deep wrinkles and smoother skin) since the first applications. The success of the treatment, reported through images and certified clinical reports, confirm the highest standards of security and effectiveness of our productsfor our customers. Apply CHARIS Anti Wrinkle Day Cream to Snacks once a day, preferably in the morning, on the dry and clean visage, with a light circular massage until the product is completely absorbed. Apply CHARIS Anti Wrinkle Night Cream Nutritive once a day, preferably at night, before going to bed, on the clean and dry visage with a light circular massage until the product is completely absorbed. Snail secretion filtrate, Aqua (Water), Caprylic/capric triglyceride, Ethylhexyl palmitate, Cetearyl olivate,Glycerin, Sorbitan olivate, Aloe barbadensis leaf juice powder, Calendula officinalis flower extract,Helianthus annuus (Sunflower) seed oil, Tocopherol, Panax ginseng extract, Cetyl alcohol, Caprylyl glycol,Phenethyl alcohol,Sodium polyacrylate, Propylene glycol,Dimethicone,Tetrasodium glutamate diacetate,Parfum (Fragrance), Phenoxyethanol, Ethylhexylglycerin. 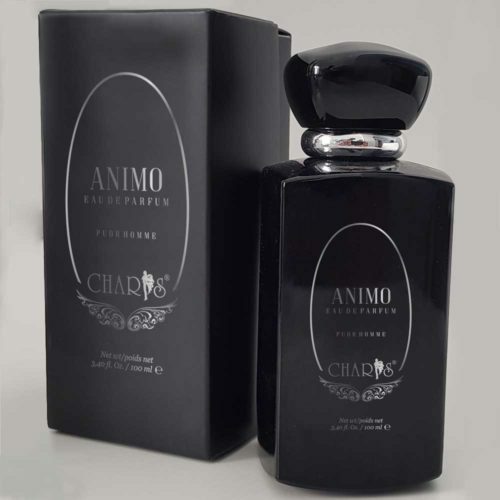 Aqua (Water), Caprylic/capric triglyceride, Glyceryl stearate SE, Propanediol, Olea europaea (Olive) oil unsaponifiables, Triticum vulgare (Wheat) germ oil, Sorbitol, Glycine soja (Soybean) protein, Aloe barbadensis extract, Laminaria digitata extract, Panthenol, Diatomaceous earth, Malus domestica fruit cell culture extract, Tocopherol, Glucose, Sodium glutamate, Urea, Glycerin, Glycine, Sodium PCA, Hydrolyzed wheat protein, Helianthus annuus (Sunflower) seed oil, Cetyl palmitate, Xanthan gum, Lactic acid, Tetrasodium glutamate diacetate, Lecithin, Sodium polyacrylate, Propylene glycol, Parfum (Fragrance), Phenoxyethanol, Ethylhexylglycerin.